Best Innovations in Telecom, Internet, Media and Edutainment (TIME) recognized in 4th Aegis Graham Bell Awards 2013 in New Delhi! Here comes World's First FireFox OS Smartphone 'ZTE Open' to India- Buy it on eBay! Spice Mi-535- The Best Budget Android Smartphone almost for everyone! Ovum forecasts decline in Global Telecom revenues! 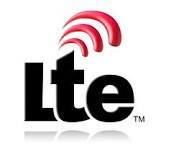 LTE to Wi-Fi- Road Ahead for 802.11 Standard! With the global launch of Samsung Galaxy Note III & LG's G2 Smart devices, which come equipped with advance features such as 802.11ac, 802.11 Direct, Wi-Fi HotSpot and LTE (Rel 8), the trend is evident.